Sometimes, the most insignificant input can generate the most outstanding outcome. Ms. Ayogu Juliana is an English Language/ Literature-In-English Teacher at New Era Girls Senior Secondary School, Lagos, Nigeria. She is also a LEAP Africa trained teacher-facilitator of the iLEAD curriculum in the ‘Be The Change’ Programme. She narrates how she has used the “Icebreaker” technique to effectively connect with her students and this has consequently improved students’ participation in her class. According to her, the English Language is difficult to teach in hot afternoons when the sun is out – after students have returned from their compulsory lesson break. Getting them to concentrate and grasp lessons was a herculean task because some of them would be tired, sleepy and sweaty. During a class, “I decided to experiment with icebreakers in a classroom and introduced one which I learned from the Training of Trainers (ToT)”. To her surprise, after the first round of the icebreaker’s activity, the students were excited and asked for more. She promised to take them through another round after the class. After her first experiment with icebreakers which was successful, she has continued to use icebreakers and the students find it exciting which has led to more attendance for her English Language/ Literature-In-English classes. Juliana observes that students were energized, refreshed and ready to learn. Their attention span in class also increased and she was able to effectively connect with them and drive home the lesson objectives for that class. This brings to the fore the importance of “empathy” in teaching pedagogy. The flawed notion that students are not ready to learn only exists in an environment of mediocrity and lack of professionalism. It is the duty of every teacher to find creative ways of connecting with their students and ensuring that actual learning is taking place. In the end, only Better Teachers can produce Better Students and consequently, a Better Society ­­– where there would be numerous opportunities for young people and the vitality of communities. 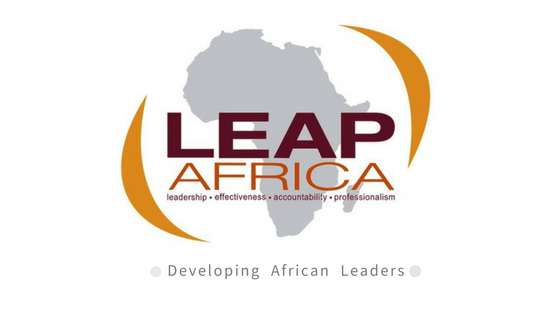 Over the years, LEAP Africa has empowered teachers in public and private secondary schools through the iLEAD programme across Nigeria. With its partnership with Citi Foundation through their Pathway to Progress efforts, more teachers are being trained and are receiving technical support to facilitate LEAP’s Leadership and Life Skills curriculum to students in secondary schools in Lagos metropolis. Together we are taking action on Goal 8 – “Decent work and Economic Growth” of the United Nations’ Sustainable Development Goals. LEAP recently concluded phase II of the Training of Teachers (ToT) for teachers newly admitted in the iLEAD programme in Lagos state. The training which lasted for two days, saw teachers sharing their classroom experiences after the first ToT. Some shared how the “Leadership” module has shaped the orientation of their students and the amazing leadership initiatives they have now proactively started to take. For one, Mrs. Amadi Nneka; a teacher at Ijeshatedo Senior Grammar School points to how a student in the iLEAD programme is already influencing her peers in the class to lead without being told. However infinitesimal this change might seem, it is already advancing the way students prepare themselves to receive teachers for each lesson. The intrinsic notion here is that, if students have a better learning culture, consequently, it will impact on their learning outcome and ultimately make them better prepared and positioned to decipher their career pathways.